An archive of all our annual reports on company performance and key initiatives. Rising, shining amidst a lush landscape, the UDENNA Tower comes alive at the Philippine capital’s modern Bonifacio Global City CBD. It will be the new home of Phoenix Petroleum, along with the northern offices of our parent company, UDENNA Corporation, a holding company that has grown exponentially with a diversified business portfolio that includes petroleum, shipping and logistics, real estate development, education, infrastructure and development, and hospitality and gaming. The UDENNA Tower serves as a monument to what tenacity, faith in our capabilities, focus, and commitment can achieve; and stands as a beacon of values and inspiration to everyone whose life we touch. Relentless has been the way we have run the business from day one. And fifteen years on, we are a bigger and bolder company - breaking barriers as we've grown from the province to a national brand, expanding from fuels to new businesses, and rising as the country's leading independent and fastest-growing oil company. We're forging ahead as a better, stronger, and unrelenting Phoenix Petroleum, to bring to life our vision to be an indispensable partner. "Sulong" is a Filipino term that serves as a rallying cry: "Charge! Move! Onward!" That is also the team's call to action as we unite and work together towards our goal to become a bigger player in the industry. In the midst of changes in the political and economic landscape, to be able to quickly act on opportunities is essential. Sulong Phoenix! We're ready to soar. Road trip. Laugh trip. Sound trip. Day trip. Business trip. We've been riding together in this journey for the past 10 years. From Mindanao to Manila, be it through rocky roads or steep heights or unending plains, we have come a long way. And there are many more journey waiting for us in the years to come. It's an amazing feeling to know that we are one on this trip. The journey to success starts with a dream fueled by ambition, passion, and persistence. 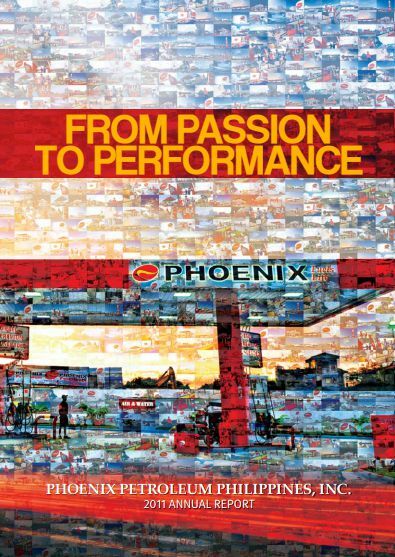 From start to end, the journey of Phoenix Petroleum is shared with our business partners and with many others who believe that the best way to go far, to greater heights, is always together. 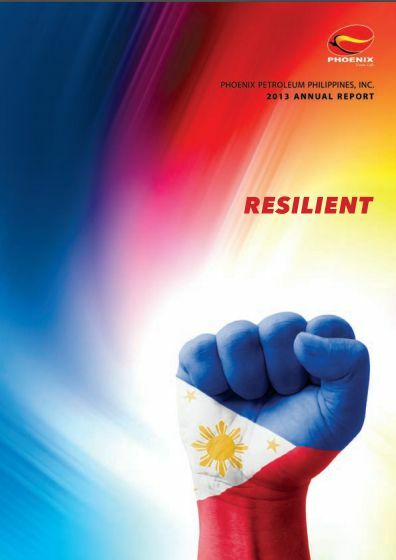 Phoenix Petroleum Phils., Inc. honors the Filipino’s resiliency amidst all the challenges the country faces. The fist represents the continuous fight of the people and the company to surpass and move forward for a better future. 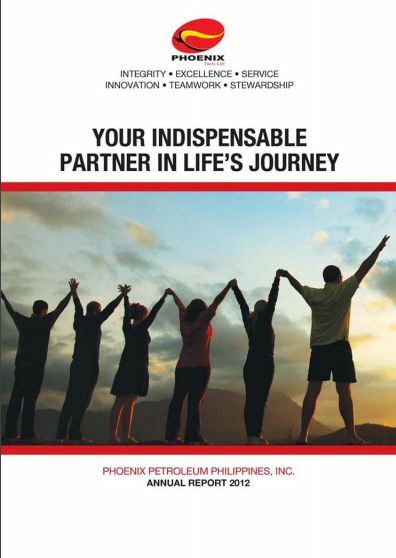 Working together with our partners for the greater good has always been our goal here at Phoenix Petroleum Philippines. And in our stride, it is our core values of integrity, excellence, service, innovation, teamwork and stewardship that has helped us make a difference in the lives of everyone we touch. Outstanding performance is a result of passionate people working together to achieve a common goal. Our individual efforts combine to make Phoenix Petroleum Philippines a bigger, stronger, and the leading independent oil company. The journeys we remember are those that lift our emotions – whether from the warm smiles of new friends, views that take one’s breath away, pleasant service on the road, or long-awaited embrace from loved ones. 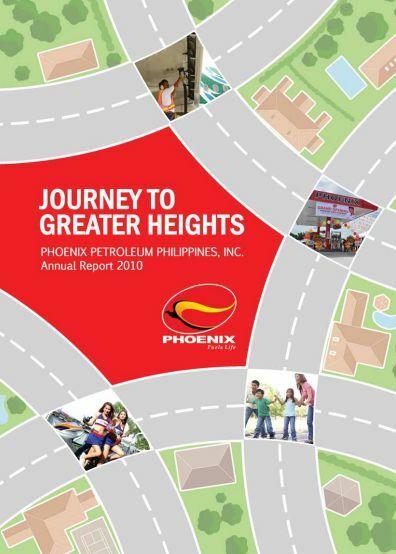 Throughout these journeys, Phoenix Petroleum is at your side. 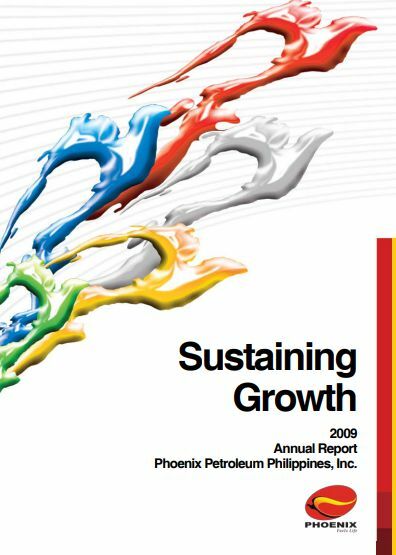 This report’s theme describes the banner year that our Company achieved in 2010. It captures the optimism we feel as we work harder to make Phoenix bigger and better. Join us as we journey to greater heights. 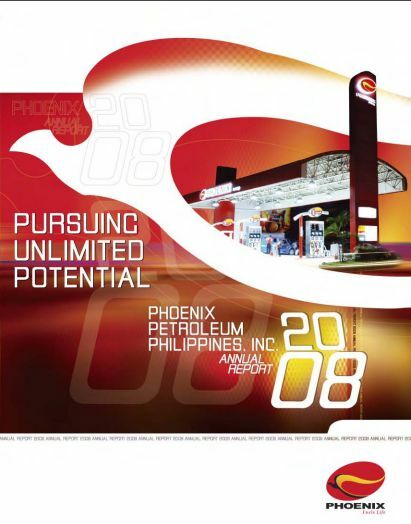 The flying colors of Phoenix Petroleum represent the Company’s performance and ambitions. The past years have seen remarkable growth – growth that the Company aims to sustain and surpass in the years to come. As a homegrown independent oil company, we constantly find ways to strengthen the company and fuel our growth. Our healthy performance in 2008 comes from five areas of focus: place, products, logistics, people, and brand. As we look ahead to 2009, we will continue to improve on these keys as we pursue unlimited potential. 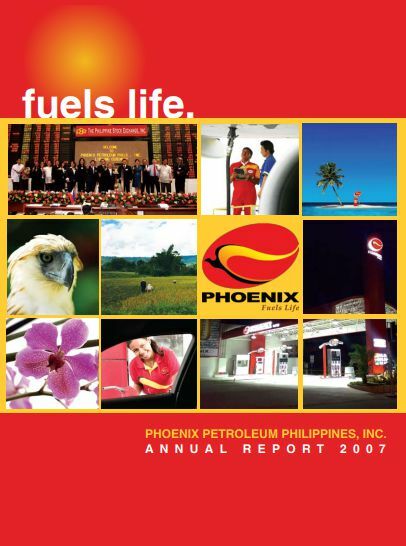 Phoenix Petroleum Philippines, Inc. provides the fuel that brings cars to destinations and airplanes to distant places. Phoenix is also about life and lives – of people and communities by having stations in strategic locations. By serving new areas, where a gas station is always the first sign of economic life, we fuel development by giving opportunities to locals. In the business of a precious natural resource, we respect the environment that gives and nurtures life. Life is a journey, each mile leading closer to the destination. Whether that destination is a place favorite or new, or a dream to fulfil as in an opportunity for progress, Phoenix is committed to fueling lives and the passion in life.